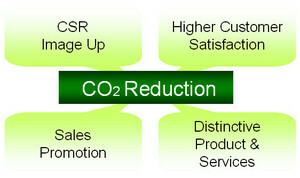 Have you ever thought of adding CO2 Reduction to your products or services? 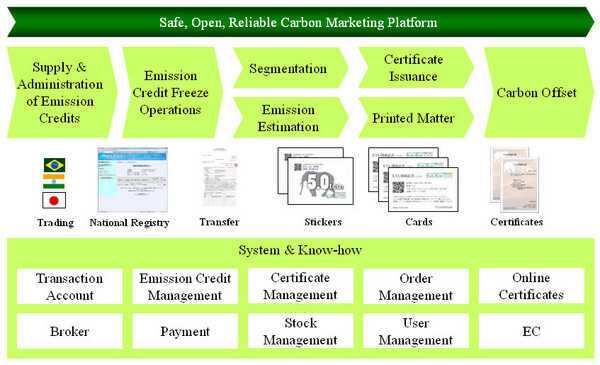 You may have the notion that Carbon Marketting using Emission Credits is for large companies. This is no longer true. And as seen in the fraud of recycled paper in Japan, history proves that a companies scale does not mean the safety of credits that you receive. 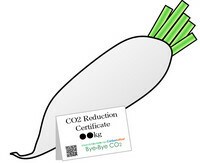 With the motto of "Adding CO2 Reduction to a Radish in your local Vegetable Store", TCO2 has developed a system that can deliver the environmental value of reducing CO2 in small amounts whilst maintaining the traceability of every certificate to its source. Our CO2 Reduction Certificate holds the following characteristics. (*1) You may divide a Certificate (Smallest is 100kg ) to smaller Sub Certificates. The sense that the climate is changing around us and all the media coverage of global warming is shaking our society. All though there are still some skepticism out there, after the introduction of the IPCC Fourth Assessment Report (AR4) the majority moves toward raising action against global warming. In some European countries where Carbon Offsetting is more common many services and transport methods such as aviation, train, rental cars already have options to add Carbon Offset on purchase. In Japan there also are some Carbon Offset products coming out. One survey reports that the recognition rate for the word "Carbon Offset" has reached 40% in general Japanese and many of them answered that they would consider buying a Carbon Offset products even if it were a little more expensive. Among these circumstances, we will review your products and services from a CO2 point of view, apply tools such as "Carbon Offset" or "Carbon Reduction Certificates" to enhance the business opportunities that you may have in your field. TCO2 is dedicated to help you build a safe and reliable carbon offset platform .